World's Vision's Matthew 25 Challenge carries a simple purpose. The life-changing campaign urges believers to reach beyond their comfort zones, inviting them to follow Jesus in words and actions through ministry to "the least of these" (Matt. 25:40b). In other words, the challenge aims "to bring the kingdom of God to earth as it is in heaven," Matthew 25 Challenge Program Director Elizabeth Botts said. The brainchild of former World Vision Senior Marketing Manager Kurt Rahn, the Matthew 25 Challenge is a weeklong discipleship tool for Christ-followers to step out and engage in Jesus' love for those less fortunate around the globe. This year's initiative is set for Oct. 20-27. The Matthew 25 Challenge began in 2017. Since then, 150 churches have participated. Botts says more than 100 churches have signed up for this year's event, and World Vision hopes hundreds if not thousands more will join them. The challenge, Botts says, is one of sacrifice that embodies World Vision's transformational work to address the root causes of poverty throughout the globe. "It opens your eyes because with this challenge, you're giving up something every day," Botts said. "It really connects you with the experiences of someone else. ... You're really stepping into the shoes of another person. "Giving and fasting and those sorts of things are what Jesus calls us to in Scripture. When we are sacrificing, we're entering into the pain of another person. In this passage of Matthew 25, and even throughout Scripture, Jesus gives us this invitation to put love into action." World Vision President Richard Stearns agrees. "Reading Matthew 25 carefully, understanding it fully and then living it out will change you," he said. "And as God intends, it will change the world too." Churches participating in the Matthew 25 Challenge kick off the week with pastors introducing the initiative to their congregations during Sunday services via a brief video. Each day during the week, participants will receive a text message with the daily challenge and links to impactful videos, stories of children around the world, and family prayer and discussion points. "The challenges really follow the cadences of that Scripture passage in Matthew 25," Botts said. "From this passage, we take the inspiration from what Jesus says to the sheep. He said, 'For I was hungry and you gave me something to eat. I was thirsty and you gave me something to drink. I was a stranger and you invited me in. I was naked and you clothed me. "I was sick and you visited me, I was in prison and you came to me. Truly, I tell you, whatever you did for one of the least of these brothers and sisters of mine, you did for me.' And so that is the passage that we take and created challenges from." Monday: "I was hungry and you gave me something to eat" (v. 35a, NIV). Participants will fast one meal that day and will learn about a child who experiences daily hunger. They will break the fast in the evening with a simple meal of rice and beans. Tuesday: "I was thirsty and you gave me something to drink" (v. 35b). On this day, Matthew 25 participants can eat, but they drink only water. The day's challenge also encourages them to think about those people in underdeveloped countries who must walk very far to collect the family's water—often, contaminated water that can make them sick. "You're learning about that through the eyes of one child on that day," Botts said. Wednesday: "I was a stranger and you invited me in" (v. 35c). Designed to teach participants about the worldwide refugee crisis, this challenge asks them to sleep on the floor in solidarity with those refugees. Botts explains, "On the floor, you might be tossing and turning, but hopefully you're praying about this crisis and opening yourself up to learning more about it." Thursday: "I was naked and you clothed me" (v. 36a, ESV). On this day, participants will wear the same clothes they wore the previous day. "This one's pretty simple," Botts said. "It's where you learn about the privilege it is just to have clothing you can change every day. Some are fortunate just to have one set of clothes." Friday: "I was sick and you visited me, I was in prison and you came to me" (v. 36b). This day's challenge involves reaching out to someone going through a tough time, perhaps someone in the hospital or even in prison. Participants can also write a note of encouragement to someone they know who is struggling with depression or anxiety. "With this, you're learning about children around the world who are chronically ill," Botts said. Saturday: "Truly, I tell you, whatever you did for one of the least of these brothers and sisters of mine, you did for me" (v. 40, NIV). Participants will be challenged to take a walk to pray over their neighborhood, their church, their city, their nation and for less fortunate people in the world. This day's email will detail "positive stories that have come from people who have responded to these Matthew 25 challenges," Botts said. Sunday: The week culminates back in churches for Celebration Weekend. Participants will be invited to reflect upon what they have learned and to continue to live out Matthew 25 by sponsoring a child through World Vision. The organization will provide churches with photos and information of children throughout the world, and church members can choose the child or children they wish to sponsor. Families who participated in the Matthew 25 Challenge with their children reported encouraging results. "We had great discussions every evening at dinner, and our conversations revolved around real-world things that I believe made our children more aware of different perspectives," said Mark Gulath of The Crossing in St. Louis. "It allowed them really to see how fortunate and blessed we are." Jenny Jones, pastor of Real Hope Community Church in Richmond, Texas, says her son helped her understand the real meaning of the Matthew 25 Challenge. "On the night we were to sleep on the floor, I came across my son bringing his blanket and pillow downstairs," Jones said. "I asked him what he was doing, thinking we were going to sleep in the carpeted game room upstairs. He looked at me and said, 'In the videos, I didn't see any of those kids being able to sleep on carpet.' I thought, Now you decide to listen to the Holy Spirit! It really was a blessing to watch my son begin to lead us on what it means to follow Jesus." "My 4½-year-old watched the videos, and we talked about them again each night before bed," said Abigail Clark, a member of The Point Church in Seymour, Indiana. "He would remember them the next day and ask what our challenge was and why. "One day he asked, 'Mom, can we just invite all the children over for lunch?' It made him think that some people go without. He picked a child to sponsor at the end of the challenge, and he is asking when we can send not only a gift for him but something for every kid in his village." Pastors across America say the Matthew 25 Challenge is a tremendous tool to increase church members' faith and boost church missions programs. "It has the potential to transform your worldview and your understanding of God's love for us and God's love for the world," said Steve Greene, lead pastor at The Point Church. "There's no question it engages the entire congregation around missions in a way we never have before. 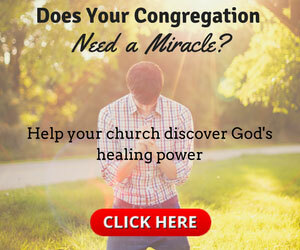 For them to be able to see and hear stories and be able to have such practical application with the daily challenges—I would say there's never been a week like it in the church." "Experiencing what 'the least of these' experience on a daily basis really brought Matthew 25 alive for me," said Jamie Duerksen, a member of Sunnybrook Community Church in Sergeant Bluff, Iowa. "It kept ringing in my ears that what we do for the least of these, we are doing for Jesus." Last year, The Crossing in St. Louis, Missouri, took on the Matthew 25 Challenge. A multicampus church with nearly 7,000 members, The Crossing saw more than 4,000 people opt in to the text-message experience to take the challenge last fall. The weeklong experience prompted many church members to become more kingdom-minded. "The challenge is incredible," said Molly Farmer, a member of The Crossing at Mid Rivers in St. Louis. "It's a beautiful combination of action, prayer and reflection." Lisa Nicholson, also a member of The Crossing at Mid Rivers, says she received a surprising response from her 17-year-old son, whom she and her husband adopted from Haiti two years before they participated in the Matthew 25 Challenge. "Wow, so eye-opening," Nicolson said. "This challenge touches our hearts in so many ways, but being a part of a church that cares so much for children like our son is the most impactful. We are so very blessed to have found our home with a church that doesn't just talk about what we should do, but challenges us to act on what God is calling us to do." And that, Botts says, is one of the main ideas for churches to embrace when taking on the Matthew 25 Challenge. "Sometimes, and I include myself in this, apathy creeps in," Botts said. "It's easy to close our eyes to those who are hurting and those who are suffering, especially if we're in places of privilege or power. Or even if we're not, we're just in our own little bubbles in our homes, and it's easy to close our eyes to what many are experiencing in our neighborhoods." Botts refers to a quote from Shane Claiborne's book The Irresistible Revolution: "I had come to see that the great tragedy of the church is not that rich Christians do not care about the poor, but that rich Christians do not know about the poor." World Vision has set out to change that mindset with this experience, which brings families up close and personal with families worldwide who face overwhelming poverty. 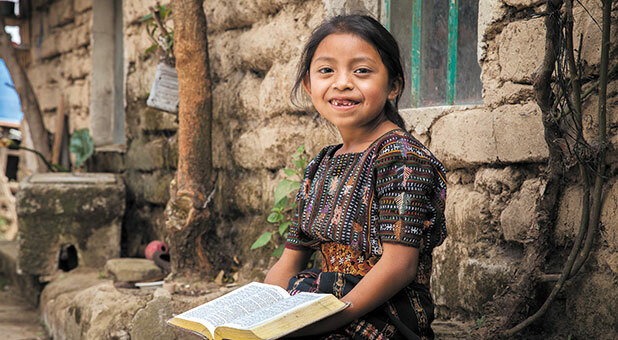 Botts says team members at World Vision hope that after Christ-followers take on the Matthew 25 Challenge, they will embrace James 2:17 (MEV): "So faith by itself, if it has no works, is dead." "Jesus' ministry was all about care and love for the poor," Botts said. "Creating this challenge and continuing to develop it, I just hope that it can continue to serve pastors as a tool to help their people do this, to help their people really see the image of God in every single person. "We hope this challenge invokes a spirit of empathy and compassion, and that people are moved to respond," she added. "They have the chance to step into the life of a child through child sponsorship, and that will challenge them to consider living out Matthew 25 on a daily basis."